The County Sligo Swimming Club dates back to 1932, with active participation in all competitions up to 1970. During all those years, swimming took place in outdoor pools around the country and the swimming club used the Markievicz outdoor pool (demolished in 2006) which was located on Markievicz Road. 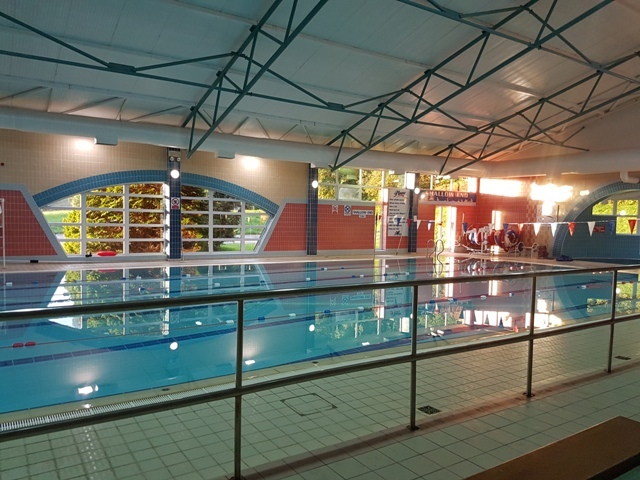 As the years went by, indoor heated pools became available and the management at Summerhill College made their private pool available to the public. From 1970 to the mid eighties the County Sligo Swimming Club failed to function. During those years swimming was kept alive in Sligo by the late Sybil Higgins. In the mid eighties two energetic young men, Martin O’Hara and Dr. John O’Donnell revived the County Sligo Swimming Club as we know it today. The club embarked on good structures and coaching techniques and the club swimmers made good progress in the early years. The club’s big breakthrough came in 1993 when Michael Brett won Sligo’s first ever gold medal in the National Community games in Monsey. For the next number of years Michael Brett would dominate swimming at regional and national level, winning multiple gold medals in the minor schools, Irish Age Groups, National Community Games, International competitions, breaking 7 Connacht records, selected swimmer of the year for the Sligo 750 celebrations and won an Irish Swimming Team Cap. This was a purple patch putting Sligo Swimming on the map. During those years the club played its part at regional level and on one occasion supplied seven swimmers to the Connacht Inter-provincial team of 24 swimmers against 11 other Connacht clubs. We would host an annual swim camp each year for Sligo swimmers with coaching by top class coaches from around the country including former Olympic swimmer Gary O’Toole of RTE fame. In the mid nineties the arrival of a new 25 metre pool at Cleveragh Regional Sports Complex was a great boost for the club swimmers. The club itself wasted no time in hosting two national competitions namely, The Irish Age Group Division 2s and the Irish Schools Finals, along with a host of regional Galas. Up to 1998, swimming in Ireland was organized and regulated by the Irish Amateur Swimming Association, the then Minister for Sport introduced measures and structures in all sports to protect children and the swimming authority was renamed Swim Ireland. Sligo club continued to play its part at regional level and Des Brett was elected President of Swim Ireland Connacht Regional. At international level we can now compete with some degree of success as we now have a number of 50m pools in this country. A short history on County Sligo Swimming Club written by former Chairperson, Des Brett.